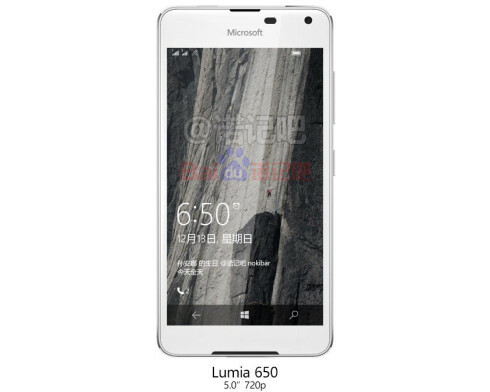 We’ve been seeing a lot of the Microsoft Lumia 850 lately, but this week another new Lumia popped up. I’m talking about the Microsoft Lumia 650, pictured below looked quite photogenic. It’s merely a single render for now and this follow up to the Lumia 640 is said to have a 5 inch 720p screen, LTE connectivity and dual SIM slots. It also seems to have a big front speaker, unless it’s only for design purposes, like it happened with some Xperias. On board we should find a Snapdragon 210 CPU, 1 GB of RAM and 8GB of storage, which is kind of low, considering this is basically what we get on the Lumia 550. A Snapdragon 410 sounds more likely though. Microsoft may introduce this product at MWC 2015 in February, or they may choose to launch it before, like the Lumia 550, that didn’t even get an event. HTC M10/ HTC Perfume Rendered by Hass. T, Features Fingerprint Scanner at the Back Now That’s How You Make a Coca Cola Phone!